SAPAC recently published a response that can be found HERE. Additionally, CAPS published the following content last year and would like to highlight it again. CAPS recognizes that heightened national attention on sexual assault and sexual harassment impacts the student body at the University of Michigan. For some, the acknowledgement of ongoing interpersonal violence and social injustice may be healing, validating, and normalizing. For others, the content presented in the media may bring up painful memories of their own experiences and/or the experiences of loved ones with sexual violence. Additionally, we may feel discouraged because the national discourse may remind us of how those who speak out about sexual violence are often scrutinized and disavowed by individuals, communities, and governing bodies. 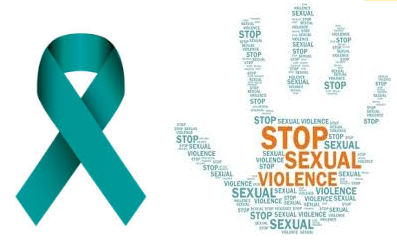 We at CAPS recognize that sexual violence is incredibly widespread and touches all races, ages, sexual orientations, and gender identities. We acknowledge the resiliency and strength of students who have been affected by the recent discussions of sexual violence, and want to remind students that we are here to listen and provide support in a safe and confidential setting. CAPS has several members on staff who specialize in working with sexual assault/violence. In addition, CAPS offers “A Journey Towards Healing,” which is a group designed to offer support, facilitate healing, and create a safe space in which to explore the impact of experiences with sexual assault/abuse, and/or dating/relationship violence. Believe them. When a friend discloses an experience of sexual violence, it is not the time to interrogate or question the validity of their claim. Rather, it is a time to hear and believe them. Respond with love and support. Being supportive to someone who has survived trauma does not necessarily require having expertise about trauma treatment. Let your friend know that you care about them and want to be there for them. Your presence and openness to their needs is more powerful than having the “perfect” thing to say. Assist in referring. Reaching out for help can be difficult after experiencing sexual violence. In particular, the experience(s) may lower a person’s sense of trust in others. Offering to assist a friend in going to a campus or community resource may provide additional comfort. Engage in self-care. Hearing stories of sexual violence from loved ones can invoke our own strong emotions including apprehension, fear, anger, frustration, and grief. It is important to be sure to take care of yourself when helping a friend. Some ways to increase self-care include: watching light-hearted movies or TV shows, exercising, spending time outside, making time for sleep, and talking with others in your support system.